The first thing you should check is your mortgage. Find out if there are going to be any additional fees now that you have decided to move. If you’re on a standard variable rate or have a ‘portable’ mortgage (which you can transfer it onto your next property), then you will be fine. 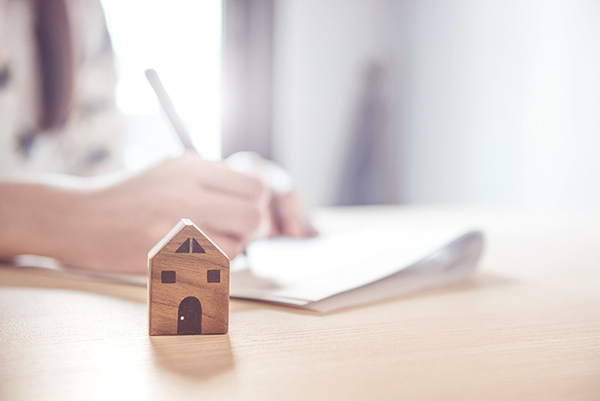 If you are liable for early repayment charges, however, it could cost you anywhere between 1 and 5% of the remaining mortgage and that could set you back a few thousand pounds. Use this calculator from MoneySavingExpert.com to see how much might need to pay back. There are varied opinions about what you need to do to make your home more likely to sell or to gain the best price. A lot will depend on what value these renovations or updates will add to your sale value. For instance, replacing all the windows and doors may not be profitable but laying down new carpets could be. Undertaking necessary repairs that could influence people’s decision to buy should be top of your list. Top Tip: Pay special attention to the outside of your property, ensure it is clutter free and in good repair, as initial kerb appeal can be a great way to drive more people to view the property. Fortunately, there’s an easy way to do this before you get anyone else involved. Go online and check similar properties in your area and see what the asking prices are. That should give you a pretty good idea and act as a baseline. The next step is to ask an estate agent to value your property. The key here is that you will want to get a realistic selling price for your property. Talk to one of our local property experts for advice. There are two options: to use a high street estate agent or sell the property online. There’s no real right or wrong way but, if this is your first time, it could make much more sense to use a local agent, particularly if you aren’t going to have the time to show people around your property. Your high street estate agent will also know the area well and will be able to help you avoid the pitfalls that usually come with do-it-yourself selling or using an online agency. You will also need the services of a conveyancer. Fees can vary. It does make a lot of sense to ask your estate agent for a recommendation, or if you are fortunate they may, like us, have their own, inhouse conveyancing service which can speed the process up. Of course, you are going to need to have your possessions ready to transfer to your new home. Removal firms can get booked up far in advance, especially at certain times of the year. Once you have decided to sell your home, you should start planning the removal process, even if you don’t have a fixed date, it pays to plan ahead. We hope this guide has been helpful, but if you are still left scratching your head, contact your local Northwood Property Expert, each one has a wealth of local knowledge and experience and can help walk you through the process of selling a property for the first time.